'Tis the season for tartan! Could this look be more perfect for the holidays? Catherine, Duchess of Cambridge, is reminding everyone that tartan can be festive yet chic. The former Kate Middleton stepped out in a midi-length, plaid skirt as she and Prince William hosted a Christmas party at Kensington Palace. The pleated skirt was from one of her go-to designers, Emilia Wickstead. She paired it with a cropped cardigan from the Scottish brand Brora, as well as sleek, black boots. It’s basically the perfect look for a daytime holiday party, at a palace or otherwise. The Duke and Duchess of Cambridge threw the Christmas party to honor deployed military personnel and their families who will be apart over the holiday season. The royal couple looked relaxed as they strolled the grounds of Kensington Palace on their way to the festivities, and they laughed in surprise when a snow machine started blowing as they passed. The duchess opted for loose, shoulder-length waves, leaving some of her recent favorite hair accessories, the headband and velvet ribbons, at home. 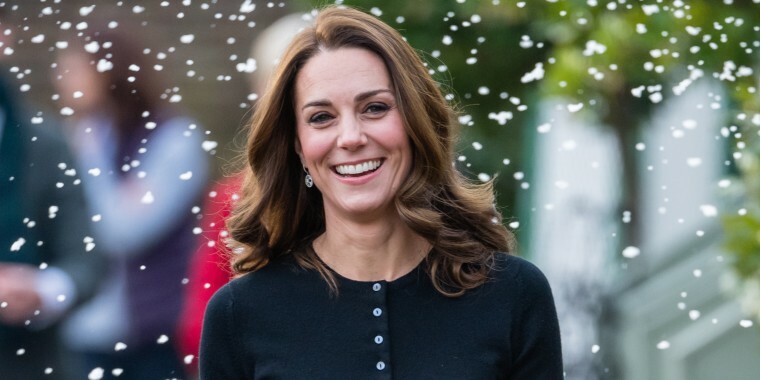 The duchess has been serving up one splendid holiday look after another this season!